When a baby is born prematurely at 34 weeks, the survival rate is nearly the same as a full-term baby. However, there may be medical complications associated with the preterm birth due to the baby's organs that are not fully developed yet. A baby is considered premature when it is born before 37 weeks gestation. A baby that is born between 34 and 36 weeks gestation is called "late preterm" and this is when most premature births occur. 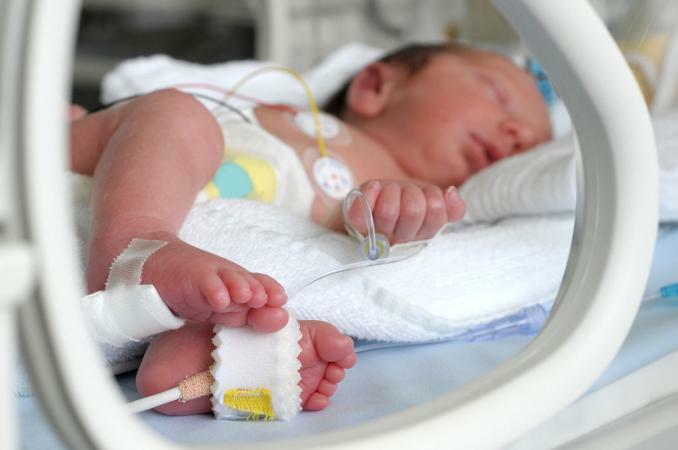 Some premature babies will not experience any complications and others may have mild or more obvious medical issues. Typically, the baby's chances of having medical complications increases the earlier it's born. While 34 weeks is at the healthier end of the spectrum for preterm births, possible complications can still occur. You should expect your emotions to run the gamut. While it is an amazing and exciting time, it can also be worrisome, stressful and at times scary. You will undoubtedly have questions and concerns and you should never hesitate to ask the doctors or nurses about the health and care of your baby. You should also anticipate that the appearance of your premature baby may be different from that of a full-term baby. When a baby is born early there is less stored body fat, therefore the baby will be smaller, her head may look large compared to her body, and her features will be less rounded. The baby's body may also be covered in fine hair called lanugo. If specialized care is needed, a longer hospital stay (from days to weeks) should be expected. The baby will be moved to the neonatal intensive care unit (NICU) where the doctors and a specialized team will closely monitor and care for her around the clock. You will be encouraged to bond with your baby in the NICU. When the doctor says it's okay, you will be able to touch, hold and feed the baby. Direct skin-to-skin contact or kangaroo care may also be implemented once the baby is stable. The doctor will allow the baby to go home when it can breathe on her own, maintain a consistent body temperature, and is able to breast or bottle feed. The baby must also demonstrate steady weight gain and show no signs of infection. Special equipment may also be needed at home to further monitor the baby, such as oxygen or a sleep apnea machine. It is also highly recommended that you attend an infant CPR course. While it's a relief to have your baby home, it can be overwhelming. Caring for the baby will be physically and emotionally exhausting at times. That is why it is important to try your best to stay healthy and take care of yourself. You should also willingly and gratefully accept help from family and friends when offered. Most importantly, you should cherish and enjoy your baby as you watch her grow and thrive.